Open 11AM to 9PM Sunday, Monday, Tuesday Wednesday and Thursday. Open 11AM to 10PM Friday and Saturday. 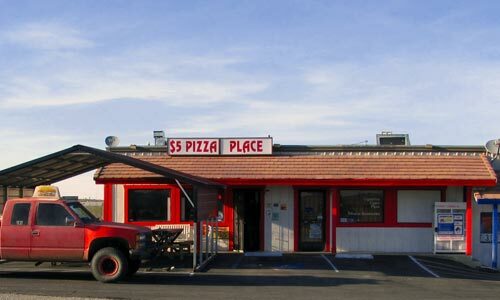 Five Dollar Pizza Place is located on Old Woman Springs Road / CA-247 (Next door to the Mojave Liquor and Spirits Gas Station) in Yucca Valley, California. 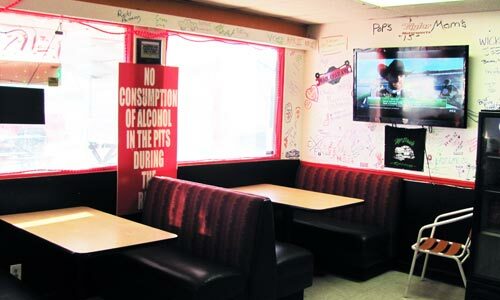 We deliver to all of Yucca Valley, Landers, Rimrock, Pioneertown and most of Joshua Tree. There is a 15% mandatory gratuity for deliveries. Our delivery charge is only $3.99. We accept credit cards, Visa, MasterCard and Discover. We have been Voted "Best Finger Food In Morongo Basin" by JT Rotary. Our Pizza Menu offers Over 45 different Toppings To choose from. We make our very own Alfredo Sauce Daily. We Grate our own Cheeses. Make sure to Ask about Our Lunch and Weekday Specials. 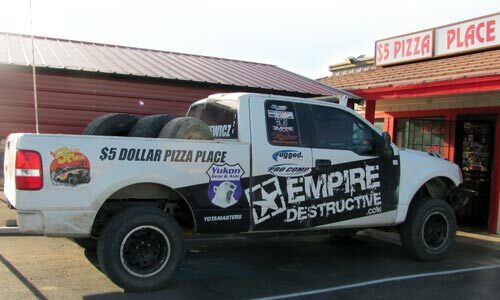 Call Five Dollar Pizza Place For Your Next Meal!